As Thanksgiving approaches, rail company Amtrak has started preparing for the busiest travel period of the year by adding more trains and extra seats on routes in the Northeast, Midwest and on the West Coast. 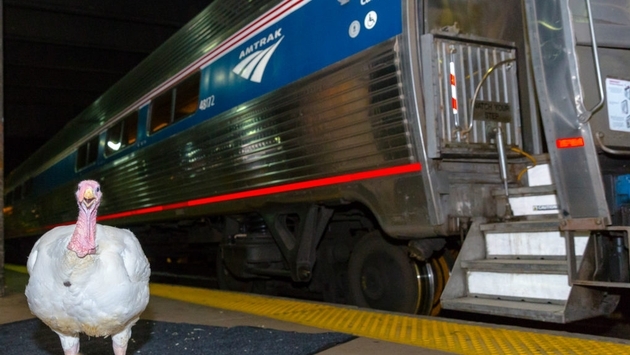 With a massive flow of travelers expected, Amtrak will operate every available passenger rail car in its fleet. Passengers are encouraged to plan ahead and book early, though, as tickets sell out quickly during the holiday season. In 2015, Amtrak served over 751,000 customers during the Thanksgiving holiday and estimates for demand are similar for this year. Along the Northeast Corridor, Amtrak Acela Express and Northeast Regional services will operate full and extended schedules, and the rail line will operate additional trains on both the Tuesday and Wednesday before Thanksgiving, Nov. 22 and 23. Amtrak will also run additional trains Sunday, Nov. 27. For travelers in the Midwest, additional trains will operate between Chicago and downstate Illinois and Michigan, and passengers coming through Chicago Union Station will be able to enjoy the new Metropolitan Lounge. As for those traveling during Thanksgiving on the West Coast, Amtrak is adding capacity to several services including Capitol Corridor, San Joaquins and Pacific Surfliner, with the latter requiring reservations during the holiday. The rail company will also operate two additional round trips between Seattle and Portland on the Amtrak Cascades service.